Born in Krefeld, Germany Philipp Gruissem has developed a reputation as a formidable tournament player. Born in Krefeld, Germany Philipp Gruissem has developed a reputation as a formidable tournament player, who has had much success in high-roller events. After developing his competitive spirit as a youngster playing sports, Gruissem was interested by poker due to the ruthless aspect of the game, as well as the potential earnings. Gruissem began playing poker online at low stakes, but quickly built up his bankroll and started to play in some of the high buy-in tournaments on Full-Tilt and PokerStars under the online handle ‘philbort’. In 2009 he scored a big online MTT cash by finishing second in the $750k guaranteed for $82,000, followed by success in a 200k guaranteed tournament on UltimateBet for just shy of $50,000 and taking down the 100k guaranteed on AbsolutePoker for $30,000. He has achieved profitable results from playing online tournaments, and has earned over $2,000,000 playing these events. In 2009 Philipp Gruissem began to make the transition towards live tournaments. One of his early results came in the EPT Berlin 8-max event, where Gruissem finished third for a $95,355 cash against a tough final table that included Benny Spindler and Bertrand ‘ElkY’ Grospellier. In his first World Series of Poker in 2011 Gruissem went on a deep run in the Main Event, finishing 28th out of a field of almost 7,000 for a $242,636 cash. Gruissem was not to be disappointed with this, however, as he would go on to win the EPT Barcelona Single Reload tournament just a month later for $337,838, before taking down his third six-figure score of 2011 by winning the EPT London £20,000 High Roller event for a $703,657 payday. A majority of Gruissem’s major cashes have come in high roller events, with the German showing that he has no fear of playing with huge amounts of money on the line. In the summer of 2012 Gruissem experienced his deepest run in a major main event, finishing third in the WPT Paris for $214,109.Gruissem would later cash in the World Series of Poker Europe’s Majestic High Roller event, finishing fourth at a final table that consisted of Michael Watson, John Juanda, David Benefield and Stephen O’Dwyer. Gruissem’s biggest tournament win to date came at the WSOP APAC High Roller where he defeated Joseph Cheong heads-up for $863,386. The $60Million partypoker POWERFEST is Set to Roll! A staggering 670 tournaments over 3 weeks – with buy-ins ranging from $1.10 up to a whopping $25k! 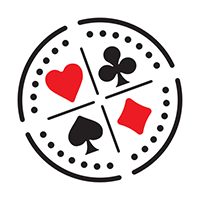 On the heels of announcing Philipp Gruissem and Ike Haxton as Team Pros, Party Poker has also formed a new Team Online of patch-wearing professional players. A number of fatalities and injuries have been reported in Barcelona, Spain after a van drove into a throng of people in Las Ramblas, a touristy area in the city's center.